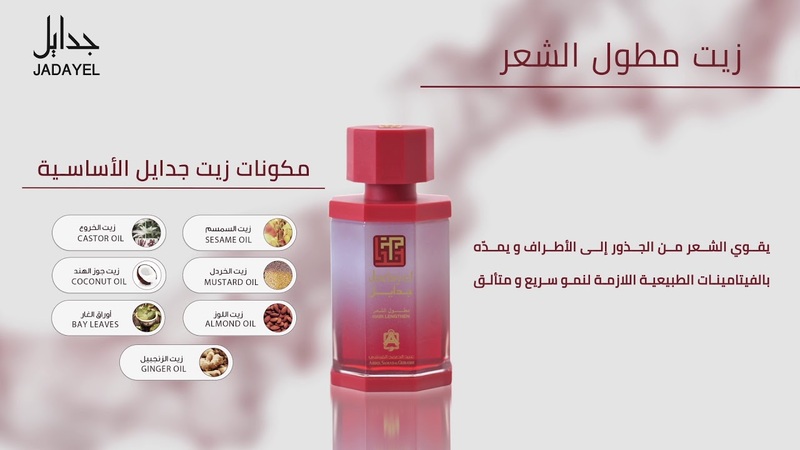 The only natural oil with its unique rich formula which especially extracted to penetrate deeply to strengthen hair follicles reaching to hair edges supplying it with natural required tonic agents for fast shiny lengthy hair. Helps strengthen the hair with its composition of sesame oil, mustard oil, castor oil and ginger oil, giving it elasticity and strengtheners necessary for fast growth and a healthy shine. يُوضع الزيت على الشعر ثم تُدلك فروة الرأس باليد لمدة دقيقتين لوصول الزيت إلى بصيلات الشعر . يُترك الزيت لمدة ساعة ثم يُغسل بطريقة عادية . يُفضل استخدام الزيت مرتين في الأسبوع . Strengthen the hair roots & nourishes the hair Shaft’s, promoting new hair growth, prevents excessive brittleness and split-ends. It is a natural emollient to hair. It will penetrate and make hair softer, improve hair texture and color. For healthier, invigorated scalp, nou-rishies. Conditions, and improves the strength and eiasticity of your hair. Activates the sebaceous glands and energize The circulation of blood, making the hair grow healthy. Anti-dandruff. Prevents hair loss, strengthen and improves the quality of hair, leaving hair nourished. يقوي جذور الشعر ويغذي أطرافه ويعزز نمو الشعر الجديد والحالي, يمنع هشاشة وتقصف أطراف الشعر. يحسن بنية ونسيج الشعر ولونه. يطول الشعر وينشط فروة الرأس. يتغلغل ليجعل الشعر ناعماً ورطباً. يغذي, يكيف, ينشط ويصفف الشعر لضمان قوة ومرونة وتثبيت الشعر الضعيف ومنعه من التساقط. لنمو شعر سليم. ينشط الغدد الدهنية. يعزز دوران الدم في بصيلات الشعر. بلسم ومطول للشعر. يمنع الترسبات الدهنية ويعيد التوازن الطبيعي للشعر ويحافظ عليه من التقصف والتكسر. يزيل القشرة ويمنع تساقط الشعر ويمنح الشعر نعومة وليونة ويعطيه الحيوية.